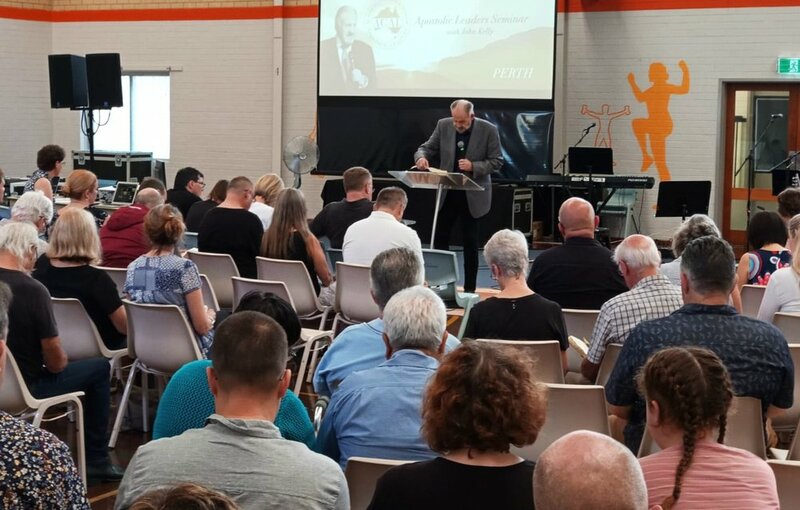 On March 3 - 19, 2019, Apostle John Kelly was the guest speaker for ACAL- Australian Coalition of Apostolic Leaders - in four cities in the nation. The following is a report by the ACAL Convenor, John McElroy. The great Russian novelist Leo Tolstoy once said, “the only significance in life is helping to establish the kingdom of God on earth”. We had the privilege of hosting Apostle John Kelly, International Convener of ICAL this week who brought the same message. After a great few days on the Mornington Peninsula attending the national ACAL gathering last week, we were pleased to host Dr. John Kelly and Dr. John McElroy on the Gold coast where two gatherings of church, community and business leaders occurred. With 33 people attending the mid-week gathering to explore the themes of new wineskins and change. Dr Kelly was supported by Dr. Keith Crews who spoke on the topic of Leading Change. Both Dr. Kelly and Dr. Crews described the attack to the church on all fronts and the sense of urgency needed to address current political trends. Dr. Kelly reported that historically the church has only come to a place of oneness through either revelation or persecution and that Australia has the numbers to defeat any political attack if we act as one. As a result, unifying and mobilising is the biggest challenge we face. Dr. Crews emphasised the significance of leadership and outlined tangible steps for leading change. The first step of this change process was helping people to understand the sense of urgency and then providing the way forward so that people can mobilise and act together. I greatly appreciated the teaching on the role of Apostle and apostolic leadership Dr Kelly brought, especially emphasising the fact that we are engaged in warfare and the need for strategic leadership by generals. Dr. Kelly also stressed however that we need to know when to act as a father and when to act as a general. The other significant aspect was the historical overview and perspective given where amongst other things he highlighted the Charismatic Movement of the 1970’s and 80’s as the biggest move of God of all time. The second gathering, by invitation, focused on apostolic leaders with 18 people in attendance. There was time at this event for helpful conversation and sharing of ideas and resources for how we move forward. The need to engage with the political process and support the Australian Christian Lobby was one of the takeaways. I was impressed with the warmth, good will, unity and love shown among people at this event and believe we were all greatly blessed by our time together. I was also impacted by the father heart of Dr. John Kelly, who came along side us, orienting us to the bigger picture of the state of the church world-wide and shared personally with humour, vulnerability, clarity and wisdom. I am grateful to have been in such a company of people.